← I am the Supreme High Goddess of the Temple of Meat. I’ve been in the garden. It was a little bit of a shock to see the date of my last post to this blog, nearly one year ago. It’s not that I haven’t been living the urban homesteading dream—in fact, I just got a food dehydrator for my birthday and have produced jars and jars of dried apples and pears. Next up will be the grey dove oyster mushrooms coming in in a few weeks. The chickens are cackling and laying, I canned tomatoes, green beans, pickles, five different kinds of jams, blackberries in bourbon, and applesauce this summer. John has been brewing lots of delicious IPAs and red ales, and we cured duck prosciutto and pancetta in the basement last winter. I’ve been knitting like crazy, too. It’s been busy and productive around here. But I have spent most of my time in the past year in a different kind of garden. A garden nonetheless, but one with recording equipment, computers, instruments, and musicians. Finally and at last, I have grown a second CD of my original music. Or if iTunes is how you roll, that is right here. 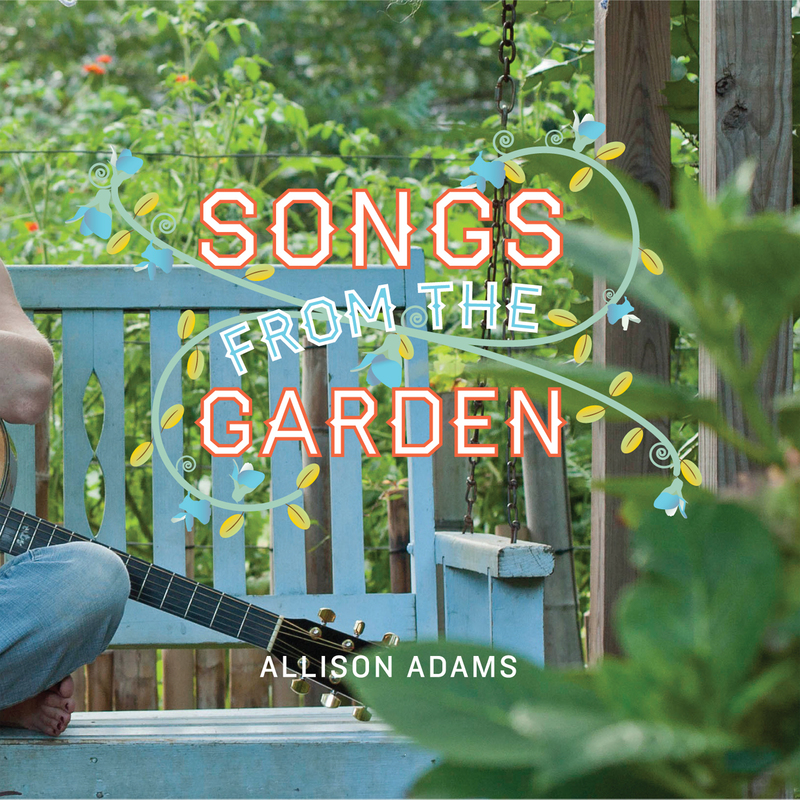 I hope you enjoy Songs from the Garden. And I promise to be a better blogger! Sounds really lovely, Allison! Looking forward to listening to your whole cd! I’m happy to see you return. Congrats on the creative work you’ve managed to accomplish during your time “off-line.” Welcome back. I am the Supreme High Goddess of the Temple of Meat. Squirrels: Just want to have fun? 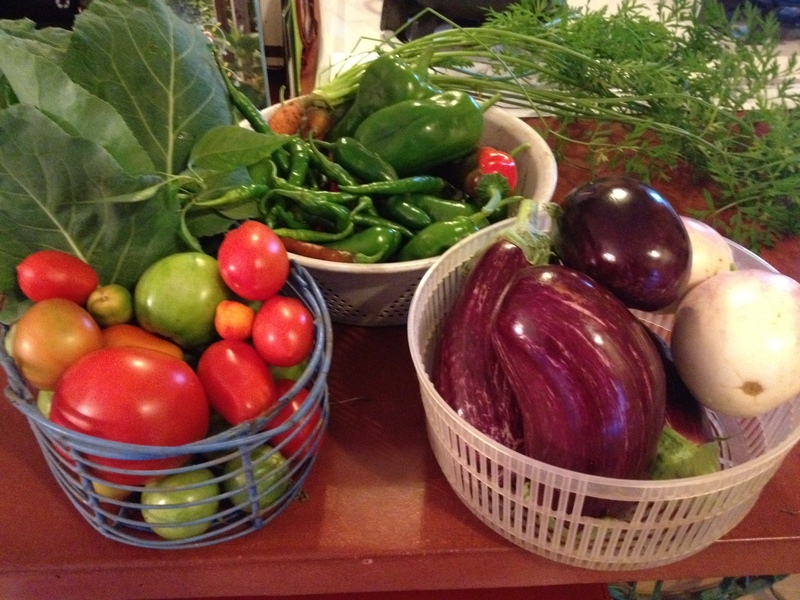 All content on the Southern Urban Homestead Blog copyrighted by Allison Adams. All rights reserved. Not to be reproduced in any form without express written permission.